Australia's best massages – delivered to your home, hotel or work. Book same-day or in advance. Australia wide, 7 days, 8am-11pm. We bring everything! #1 Rated Mobile Massage Service In Australia. How does Blys Massage at home work? Blys is the fastest, easiest and safest way to get a professional massage in Australia. 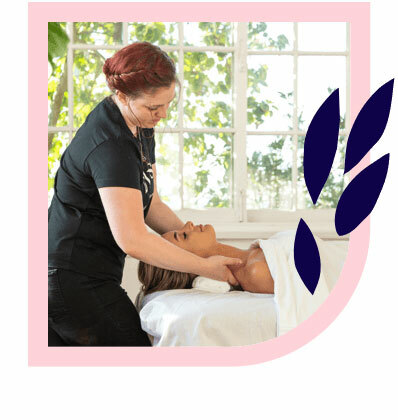 We deliver the best massages to your doorstep from $99 – by connecting you to a trusted & qualified therapist in your local area. No phone calls, no cash payments, no stress about finding the right therapist or making the journey to the clinic and back. You simply make a booking online on our website or massage app, and we will have a qualified & vetted Blys therapist knocking on your door in no time. Some of our customers describe us as ‘Uber for Massages’. What types of services does Blys offer? Blys currently offers Swedish Relaxation Massage, Remedial / Deep Tissue Massage, Sports Massage, Pregnancy Massage and Corporate Massage. Any of these types can be performed as a Couples Massage – either simultaneously by two therapists, or back-to-back (e.g. first you then your partner) with one. Blys also allows you to Gift A Massage to a loved one. To avoid any doubt; we do not offer any sexual massages. Can I pick my therapist? And if you’re a returning customer, you’ll have the option to request the same therapist from one of your previous bookings. In order to guarantee you receive a massage whenever you want it, we don’t offer our customers the ability to browse through massage therapists as we have no way of guaranteeing a certain therapist will be available for certain date/time. Rest assured, all Blys therapists are qualified and offer the same level of service excellence – so if you book a massage through Blys, you’re guaranteed to get the same 5-star treatment. Can I re-book with the same therapists? Absolutely! Our website and massage app makes it easy to rebook with the same therapist. However please note we cannot always guarantee that your therapist will be available at a specific time. The easiest way to get the time you want is to book your next appointment with your therapist while finishing up your massage, so you can agree on a date/time with your therapist and book your next massage on our website or app while your therapist is there. What happens if there's no therapists available? In the unlikely event that there are no available therapists in your area for your in home massage, we will get in touch with you as soon as possible to check whether you wanted to have your massage at a later time or date, or cancel. (Note: we don't charge you unless your therapist is confirmed). 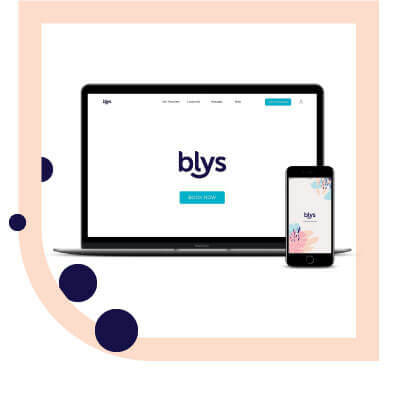 Blys operates nation-wide with therapists available in all major cities including Sydney, Melbourne, Brisbane, Adelaide, Perth, Canberra, Gold Coast, Wollongong, Newcastle, Central Coast – with more cities coming soon. In Sydney we cover all areas including Sydney CBD & Inner City, Sydney Eastern Suburbs, Sydney Inner West, Sydney North Shore, Sydney Northern Beaches, Sydney South & Sutherland Shire, Sydney Western Suburbs, The Hills District. In Melbourne we serve all areas including Melbourne CBD and Inner Suburbs, Melbourne Eastern Suburbs, Melbourne Western Suburbs, Melbourne Northern Suburbs, Melbourne South Eastern Suburbs, Mornington Peninsula and Geelong. In Brisbane, we are available across Brisbane City & CBD, Brisbane Southside, Brisbane Northside, Bayside, Redlands, and surrounding areas such as Gold Coast, Sunshine Coast and Byron Bay. In Adelaide, we are available across Adelaide City & CBD, Adelaide Hills and Adelaide Northern Suburbs, and all areas of Metropolitan Adelaide. In Perth, we are available across Perth City & CBD, Perth Northern Suburbs and Perth Southern Suburbs, and all areas of Metropolitan Perth. Can I get a massage near me? Of course you can! Blys has locations all around Australia with greater expansions to come. 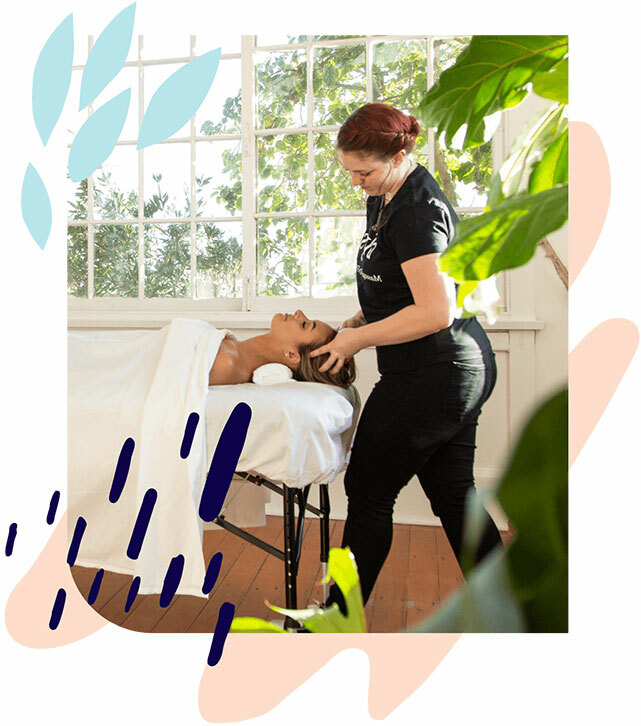 Because we are a mobile platform, we rely on local massage therapists becoming a part of the Blys network to connect with clients around the country. If you're searching for massage near me, head straight to Blys and have a professional, qualified and trusted massage therapist delivered right to your door. Do I need to provide anything for my mobile massage? You are welcome to use your own table, towels, sheets or music if preferred. All we need is space to set up the table (about 1m x 2m) which fits in small apartments too. Occasionally a small/folding chair may be requested, but most of Blys massage therapists bring their own stool if needed. Since your body temperature can drop slightly during a home massage, please ensure the room is at a comfortable setting for you. Whatever makes you comfortable – you determine your own level of comfort when disrobing, but typically you’ll undress up to your underwear. All Blys therapists are trained to give you the privacy to undress and dress; we simply step outside the room briefly and come back in when you’re ready to soothe. In addition, the utmost respect is given in regards to draping throughout the massage to ensure private areas are never exposed. In regards to chair massages, the client remains fully dressed – though some choose to remove bulky sweaters or jackets. Can I get a rebate for my massage with my health fund? Yes, you can – however we cannot guarantee it as it depends on your health fund + available therapists. If you’d like to claim health fund rebate for your massage, please simply add your requirement in “Note for your therapist” when booking (e.g. Bupa, hicaps, Medibank private, AHM), and we’ll do our best to find a therapist with that fund. Why should I choose Blys? The benefits of massage therapy are undeniable: decreased stress, improved quality of sleep, increased mental clarity, and reduced pain. Unfortunately, finding time in your busy schedule to travel to and from the massage therapist’s location plus the session time isn’t always feasible. Blys mobile massage service brings therapeutic treatments to your home, hotel or office in as little as an hour anywhere in Sydney, Melbourne, Brisbane, Adelaide and Perth. While relaxing in a serene spa may sound enticing, therapeutic massage in your own home can be even more beneficial. There is greater flexibility in focusing on your well-being when travel time is eliminated. Whether you’re working around school schedules, nap time, or conference calls, Blys mobile massage therapists work to your schedule so you have more time to soothe yourself. Blys is 100% Australian owned and operated. How do I book a home massage through Blys? You can book a home massage using our website or mobile app. After booking your home massage, you get real-time updates about the location of your therapist. Can I book in home massage from Blys after hours? Yes, you can book a home massage after hours. Blys massage therapists are available from 8am in the morning through 11pm at night. How much does it cost to book a home massage service? You can book a home massage from A$99/hour. There are no additional or hidden fees. That price covers the cost of fresh towels, essential oils, music, and massage table that the therapist will bring. Treat your partner, bestie, parents or clients to a spa-quality massage from Blys – delivered right to their doorstep across Australia. Received a Blys gift voucher? Book your massage here.